Aluminum Foam nhẹ, chịu lực cao, đặc biệt là tính chịu nhiệt và chống ồn tôt. Vật liệu này rất thích hợp với các công trình toà nhà cao cấp do các đặc tính về cơ lý và tính thẩm mỹ của nó. 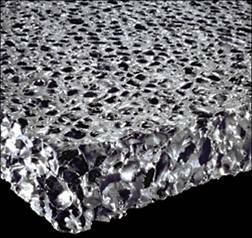 Inner structure of Aluminum Foam are porous so that the material is ultra-light, thermal insulated, stress-resisted, impact-absorbing and soundproof. Aluminum Foam can be applied to construction industry as a new building material ; a fireproof and soundproof material for walls, ceilings, fire doors, etc. 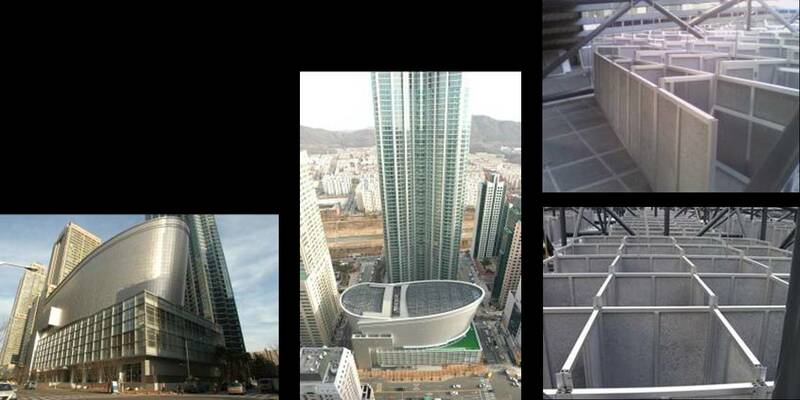 Aluminum Foam is the most suitable materials for fireproof and soundproof materials for apartments and fireproof sectors as the regulations for grades is in force. Aluminum Foam can be used as noise reduction walls, sound absorbing grids, impact-absorbing materials for bridge protectors in civil engineering works such as road, bridge, and tunnel construction. Though air pores in the masses of Aluminum Foam are just collection of independent closed cells, compression processing creates fine cracks between the pores so that the pores are connected with each other. 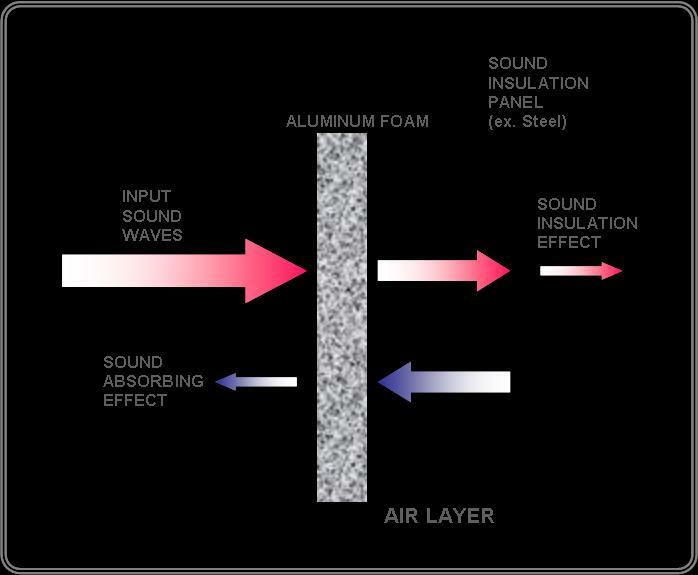 When the sound waves reach the pores in the Aluminum Foam, they convert into thermal energy because of friction against the wall of the pores. 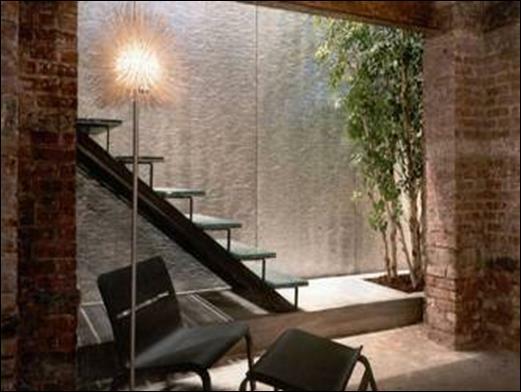 So, the Aluminum Foam take the sound absorbing effects, which is characteristic for porous materials. The Aluminum Foam is a new porous material and outstanding differences in shape, size, distribution and rate of the pores are shown in accordance with manufacturing processes. The rate of the pores ranges from 20% to 90%. As earlier stated, The Aluminum Foam has good performance such as sound absorbing effects, heat insulation, electromagnetic shielding as well as stress-strain stiffness, compression characteristics and impact reduction effects so that it is used for transport vehicles such as air planes, cars, etc. which requires light weight and high strength. The Aluminum Foam is complex material consisting of metal cells and air layers which are interconnected so that compressive and tensile forces apply on and off rather than continuously and discontinuity of compression load delays compression speed. Stress-strain curve for compression load in the next page show three regions. The first linear portion of the curve is elastic region showing linear increase of stress. The second one is plateau stress region where the cells destroy on and off and at the third region, cells are completely destroyed. Yield point appears at the end of the elastic region. The Aluminum Foam is very excellent in shock energy absorption of outer force because it has a long region of, and a high level of, plateau stress unlike any other materials.